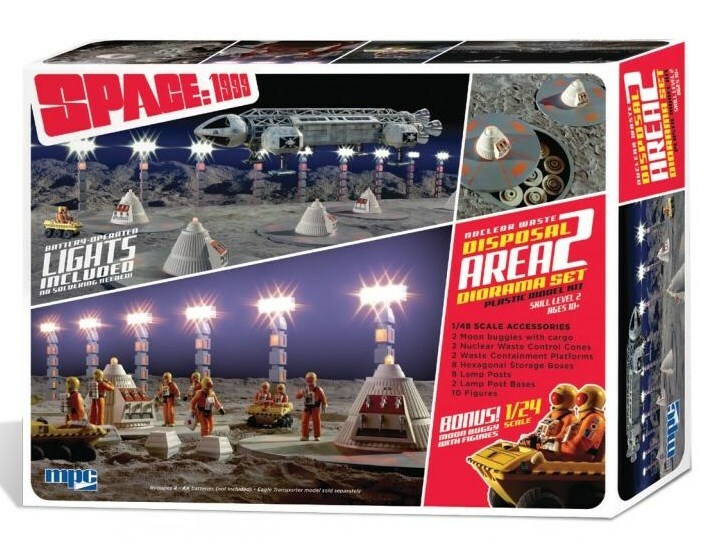 Space 1999 remains a cult classic and we take a look at some of the Space 1999 collectables, Space 1999 merchandise and Space 1999 toys that have appeared over the years. Space 1999 first screened in 1975 and ran for two seasons and originally aired from 1975 to 1977. 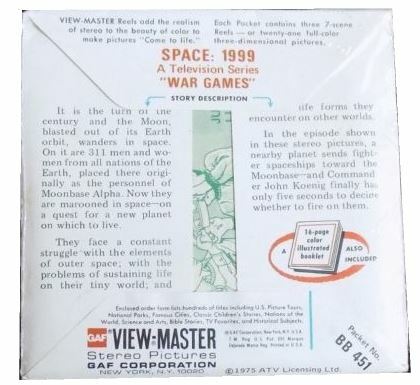 The series was the last production by the partnership of Gerry and Sylvia Anderson (who were also responsible for Thunderbirds ten years earlier in 1965) and was the most expensive series produced for British television up to that time. The first season was co-produced by the British television ITC and the Italian television RAI, while the second season was produced solely by ITC. 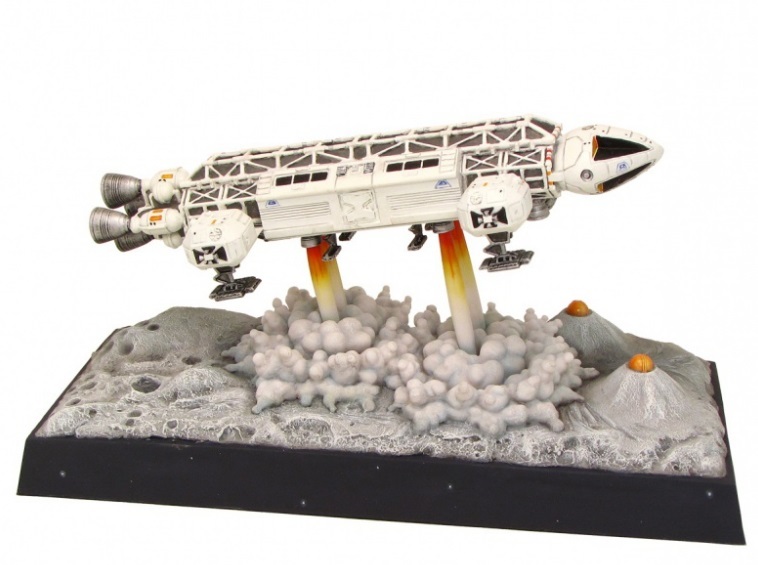 Pictured: Space 1999 Eagle Transporter from Robert Harrop. The model is another excellent recreation from the Robert Harrop team. It is priced at £100 and is Limited to 250 models. 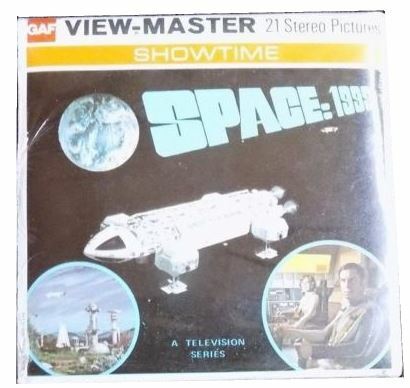 Space 1999 centres on the plight of the inhabitants of Moonbase Alpha, a scientific research centre on the Moon. Humanity had been storing its nuclear waste in vast disposal sites on the far side of the Moon, but when an unknown form of electromagnetic radiation is detected, the accumulated waste reaches critical mass and causes a massive thermonuclear explosion on 13 September 1999. The force of the blast propels the Moon like an enormous booster rocket, hurling it out of Earth orbit and into deep space at colossal speed, thus stranding the 311 personnel stationed on Alpha. 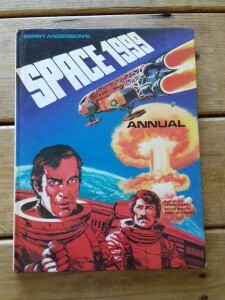 Pictured: Space 1999 Jigsaw Puzzle 80 pieces. 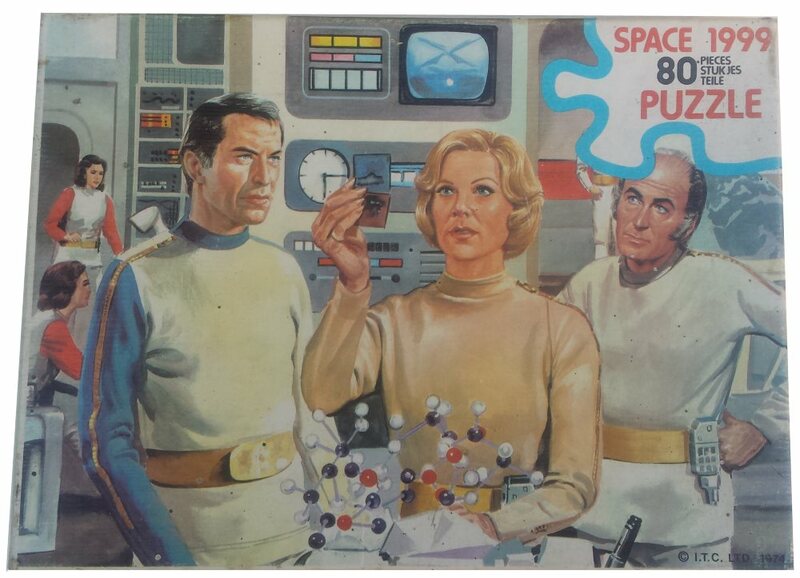 The puzzle features Doctor Helena Russell (head of Medical Section), Commander John Koenig (leader of Moonbase Alpha) and Professor Victor Bergman. The runaway Moon, in effect, becomes the “spacecraft” on which the protagonists travel, searching for a new home. Not long after leaving Earth’s solar system, the wandering Moon passes through a black hole and later through a couple of “space warps” which push it even further out into the universe. During their interstellar journey, the Alphans encounter an array of alien civilizations, dystopian societies, and mind-bending phenomena previously unseen by humanity. Several episodes of the first series hinted that the Moon’s journey was influenced (and perhaps initiated) by a “mysterious unknown force”, which was guiding the Alphans toward an ultimate destiny. The series featured a number of ships and vehicles which have been made into a number of excellent toys, models and merchandise. The ships included the main vehicle of the base the Eagle Transporters the Moon Buggy and the Mark IX Hawk. 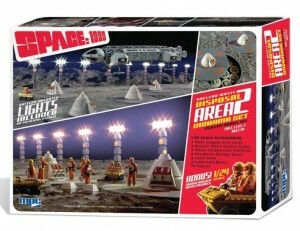 Pictured: The very popular Dinky No.360 “Space 1999″ Eagle Freighter (this version – white, red side and rear thrusters). 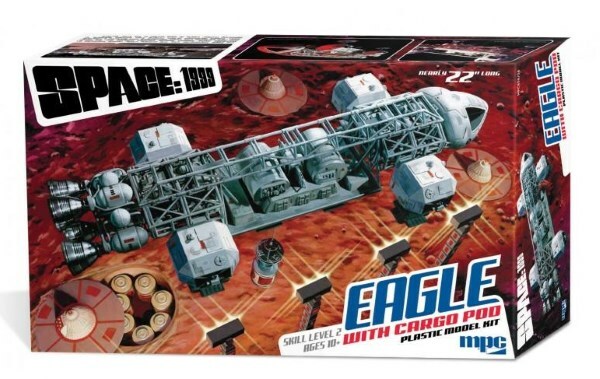 Click for more information on Dinky Space 1999 Eagle Freighter. 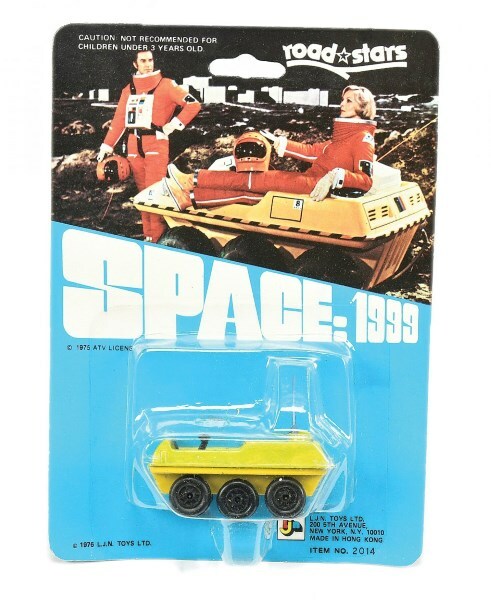 Pictured: LJN Toys Ltd “Space 1999″ Lunar Rover finished in yellow, black plastic wheels and interior. Mint on a Near Mint blister card. This version was sold at Vectis auctions for £30 in May 2017. Image Copyright Vectis. 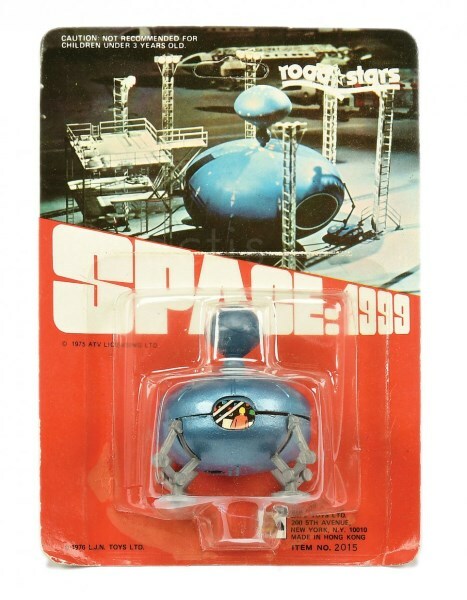 Pictured: LJN “Space 1999″ – Probe – blue, grey. This version was sold at Vectis auctions for £20 in August 2016. Image Copyright Vectis. The stars of Space: 1999 were American actors Martin Landau and Barbara Bain, who were married at the time and had previously appeared together in Mission: Impossible. 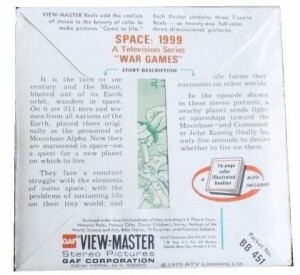 In an effort to appeal to the American television market and sell the series to one of the major U.S. networks, Landau and Bain were cast at the insistence of Lew Grade against the objections of Sylvia Anderson, who wanted British actors. Also appearing as regular cast members were the Canadian-based British actor Barry Morse (as Professor Victor Bergman in the first season) and Catherine Schell as the alien Maya who became a popular character in the second season. The programme also featured Australian actor Nick Tate who played Alan Carter. Matell created a number of action figures based on the characters including Doctor Helena Russell, Commander John Koenig and Professor Victor Bergman. 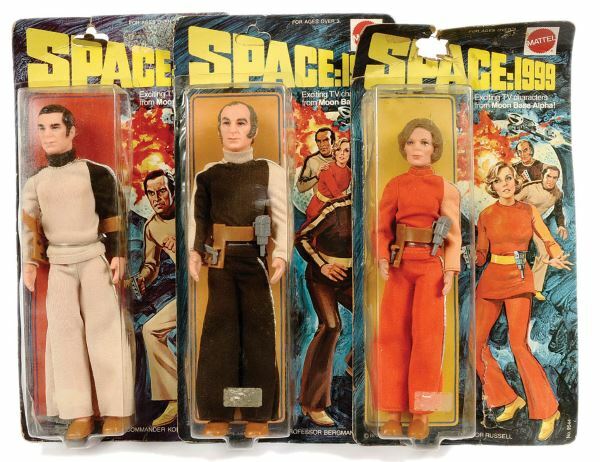 Pictured: Mattel Gerry Anderson’s Space:1999 3 x 9″ action figures: Commander John Koenig, Professor Victor Bergman and Doctor Helena Russell. This collection was sold at Vectis auctions for £80 in June 2014. Image Copyright Vectis. Unstoppable created a collection of trading cards based on Series 1 of Space 1999 featuring signed autographs, original art, sketch art and scenes from the show. A second collection based on Series 2 is set for release mid 2018. Pictured: Unstoppable Space 1999 trading cards including autograph cards from the original cast. This selection includes Nick Tate as Alan Carter, David Prowse as Cloud Creature (most of you reading this will know that David Prowse went on to play Darth Vader) , Catherine Schell as Maya and Zienia Merton as Sandra Benes. For more information visit Unstoppable Cards. 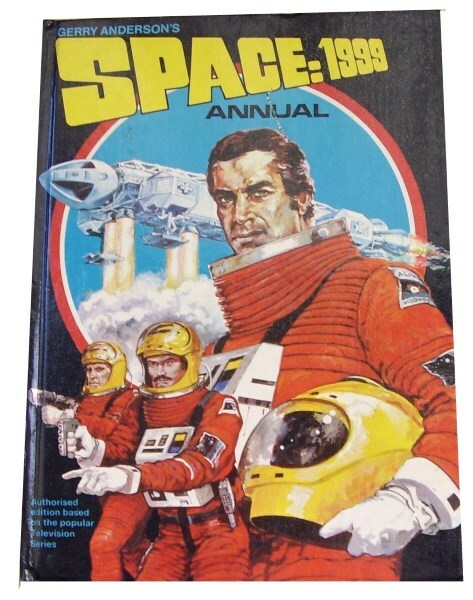 There have been many Space 1999 advertising tie-ins, books, ephemera, models, puppets, coins and more produced over the years – too numerous too mention in a brief article. Below are a few we like here at WCN.